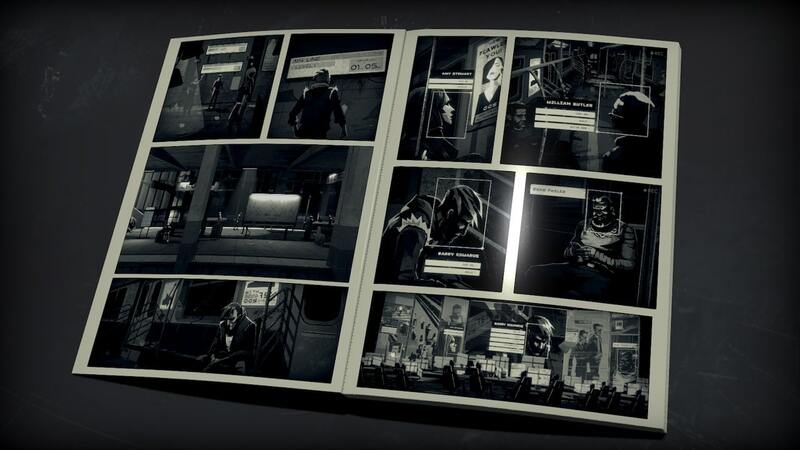 Walkabout Games and Atomic Wolf have announced that Liberated will release on Nintendo Switch, an interactive tech-noir graphical novel that will see you leap between frames. Told in four chapters, players will control different characters as they experience a story about a world where government authorities use advanced technology to manipulate the population. Civil rights have become a thing of the past. The government engages in complete surveillance of every citizen in the world, whether that be monitoring their social media activity, online payments, or GPS location. Insurgents resist this oppression, continuing to fight for their freedom as government agents try to maintain order and control. You will experience both sides of this conflict, with every choice they make changing the course of the story. Liberated transitions seamlessly from choice-based branching story sequences to fully playable action sequences as the action moves from panel to panel. That results in a motion comic that is brought to life with 2.5D platforming, stealth mechanics, shootouts, and quick-time events. Liberated will release on the Nintendo eShop for Nintendo Switch worldwide in 2019.